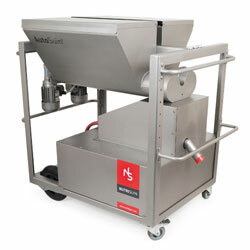 AutoSuin is a revolutionary, fully automatic mobile feed mixer. 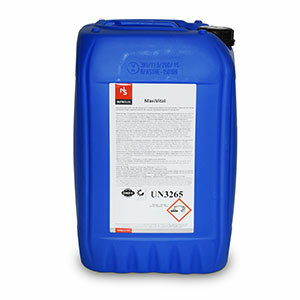 Feed and water are always kept separate until the dose-measuring button of the AutoSuin is pressed. Only then is the BabySuin or PreSuin instantly made up into a fully fresh and warm feed mix. 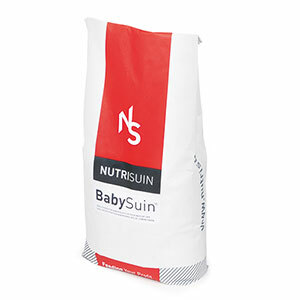 Fill the feed hoppers with BabySuin and PreSuin. Press the dose-measuring button to make up the desired quantity of fresh feed (up to 40 litres per minute). Place a dosing can under the AutoSuin and you can fill your sucklers' feed dishes. When finished, connect the AutoSuin to a water hose and electricity supply using the quick-release coupling, in order to fill and heat the water tank. The AutoSuin is now ready for the next round of feeding. The AutoSuin is mobile, so you can easily prepare fresh feed for your suckling piglets anywhere you like. With our easy-to-use method, your animals will develop trouble-free and grow with maximum cost-effectiveness into extremely profitable piglets and finishers.